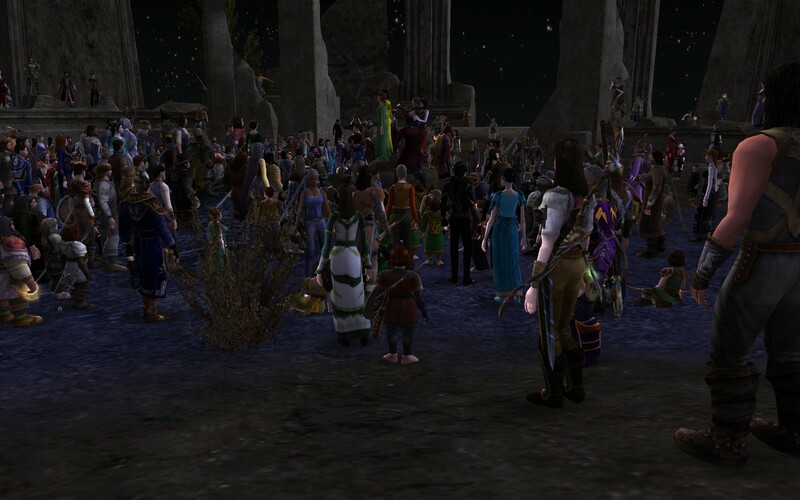 The most fun thing I did over the weekend was show up at Weatherstock! I knew about the event, but for various reasons was not able to attend any previous one. This time the announcement caught my eye and everything lined up so that I had a free afternoon to spend, so I made it a point to attend. before noting the time and using my handy travel map to Bree. I hadn’t been back to Bree in some time, so I rode through the city and on to the Forsaken Inn, remembering good times and adventures in the area. Even though I wanted to greet my fellow adventurers by name – all of them! – I decided that perhaps things would proceed smoother if I were to… disable names, temporarily of course. After a few announcements, we mounted up or just walked, and made our way towards the summit. Can you see me in the picture? I am riding Sunbeam, my Steed of Guardian, in the middle. You can just see the red/white checkerboard armor. (It was requested that those of us with War Horses refrain from using them. Fair enough, they can be tricky to control). We group took a while to reach the summit and get ready, in fact night fell, but it was fine, safety in numbers as it is said. I wandered around the venue choosing various vantage points, and settled back to enjoy the show. At one point, someone offered me tokens, pipeweed, and beer! Regrettably I do not recall who it was. I tried to offer money in exchange but they refused. After a few minutes passed, I discreetly drank all 5 of my beers and began dancing like a hobbit, along with several others nearby. (I didn’t take a picture lest this “scandalous” behavior become public). It was difficult to follow announcements so I missed the name of this band. They looked pretty cool in their matching outfits. All the bands looked and sounded great actually, it’s just this picture turned out the best. 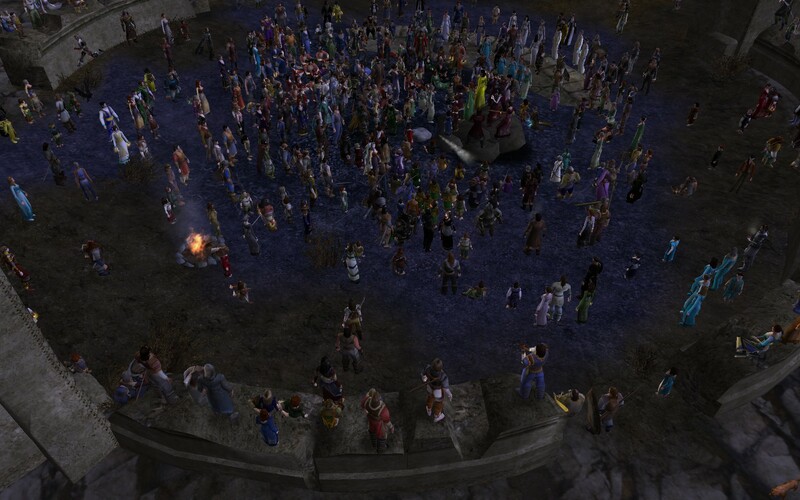 Unfortunately I had to leave before the Battle of the Bands so I’m not sure who was voted as winner. Kudos to all musicians and organizers for a fantastic event. 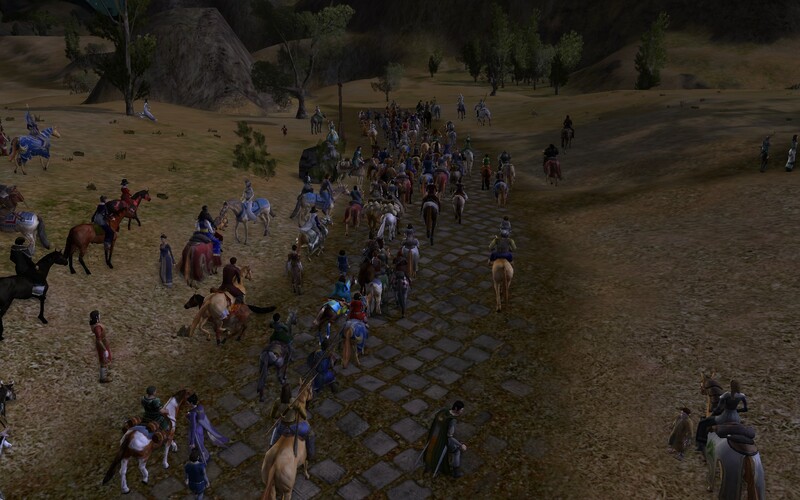 I registered for the “Weatherstock Wayfarer” title and am looking forward to displaying it! 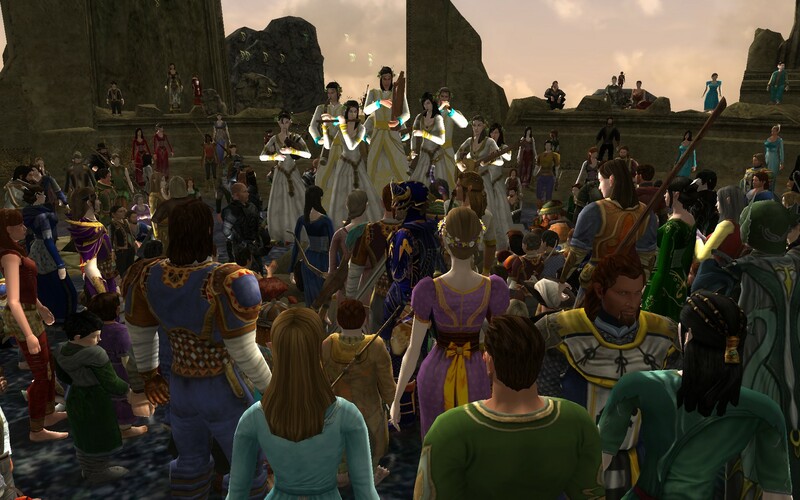 EDIT: Jeromai provides additional coverage, including links to videos of the livestream. And he reminded of the hilarious and awesome performance of “Can’t Get No Catfish Action” by the Songburrow Strollers. I haven’t played much due to taking a trip over the first week in July and then getting busy with some other hobbies. Fortunately, I received my new computer the day before I left and was able to install and patch the base system. The speed of the SSD was nice, but let me say that for my purposes, the roominess of a 1 GB (or larger) hard drive is tough to beat. 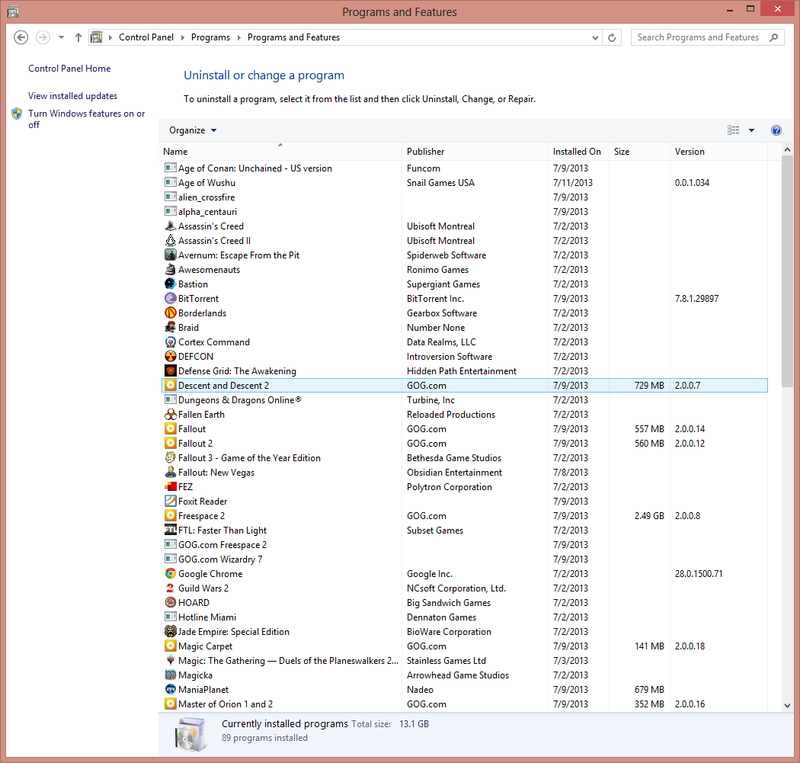 When I had the SSD (256 GB), I had to uninstall various games to make room for others, but now I can have them all! 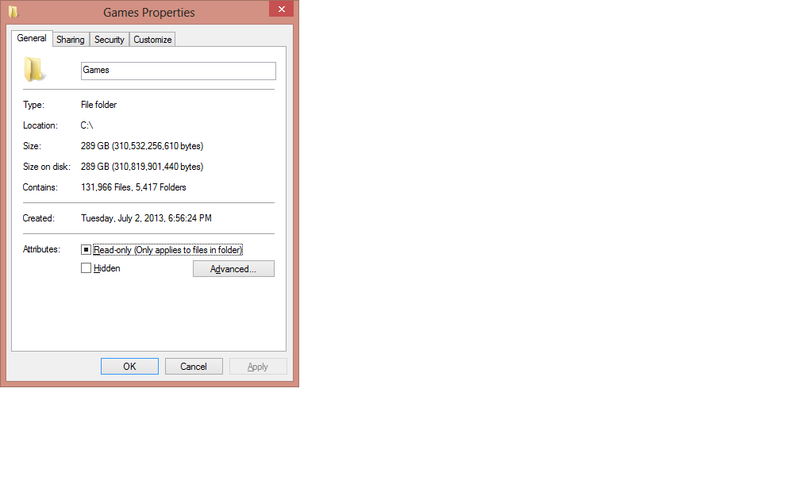 Well, even 1 GB will fill up but right now I’ve got a nice number of games installed… 289 GB worth! I dug out the games I bought of GoG and installed those as well. I’ve certainly got more games to play than I have time to play them. 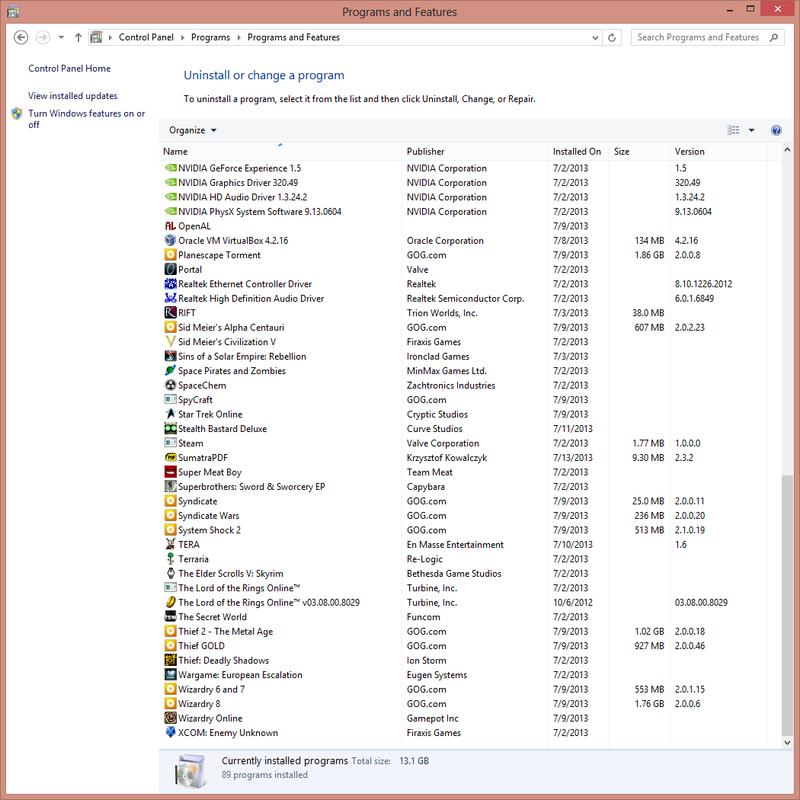 Not pictured are Monaco and Nightsky, because they were sandwiched between several Microsoft and NVidia entries that took up too much room in the screenshot. As much as I love MMOs, I need to focus a bit in order to make decent progress. I do enjoy dabbling and the variety but right now I’m leaning more towards deeper advancement in fewer games versus piddling around entry areas in many. One final thing to do before I crank up LoTRO on my new system is remap the keys. The default action keys are the number keys plus CTRL, ALT, SHIFT. That was too much stretching for me, so I remapped the number keys to asdfgzxcvb. It was just less bouncing around the keyboard and I set it up so the “typical” combat skills/sequence was asdfg with other useful skills accessed with modifier keys (SHIFT-a, CTRL-z, etc.) Now I’m used to that so I need to map it back! Oh, I also bought a Logitech G105 keyboard so perhaps I can make use of its features. One thing I found interesting related to account security. Steam games are a separate case, because when you install Steam on a new/unrecognized computer, you have to enter a key emailed to your account. So games installed via Steam fall under that umbrella. 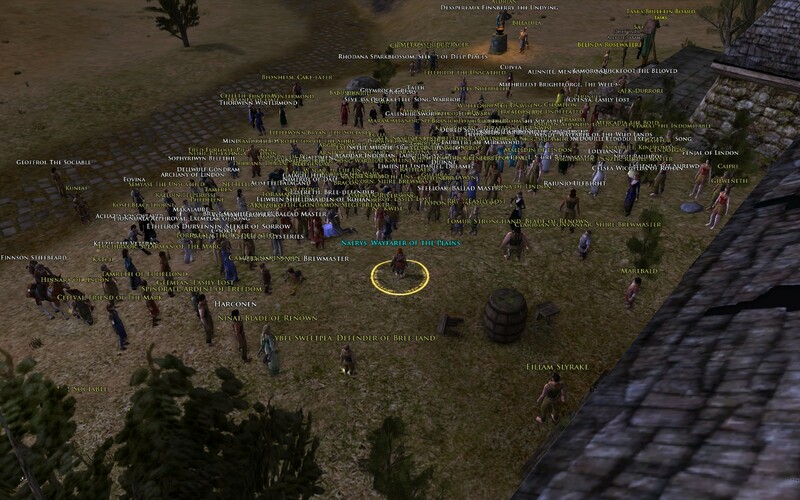 Of course, many MMOs can be installed separately as well. And some don’t come via Steam. I like that actually, that it tries to screen unknown computers. GW2 didn’t put up a similar check but I remember reading that by default their security mechanism only barks when the new device is on a different subnet. 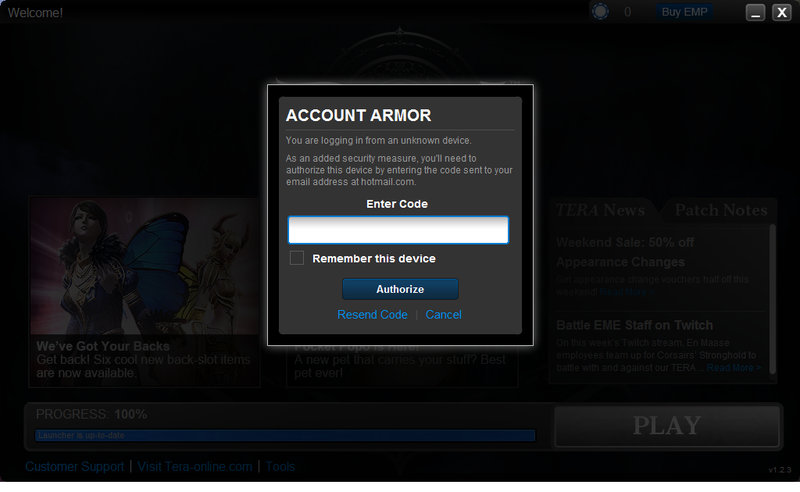 Also, GW2 allows using the Google Authenticator, which can be configured to challenge all the time. RIFT was the same way – no new computer check, but there is an option to use an authenticator. I tried with Age of Wushu, and sailed right through to the login screen… no option for an authenticator.